Players surprise, they disappoint, the expectations and hype surrounding them is constantly under re-assessment. Normally, the responsible or prudent thing to do while evaluating talent, especially younger players, is to look at a large sample of play before jumping to conclusions. However, against better judgement, sometimes in the moment a single game or even play can totally alter your opinion of a player. Thinking back on your time as a fan of the game, which game sticks out most in terms of shaping your opinion on a particular player? Gulino: I’m going to go more recent here and project for a young player whose career is still burgeoning. 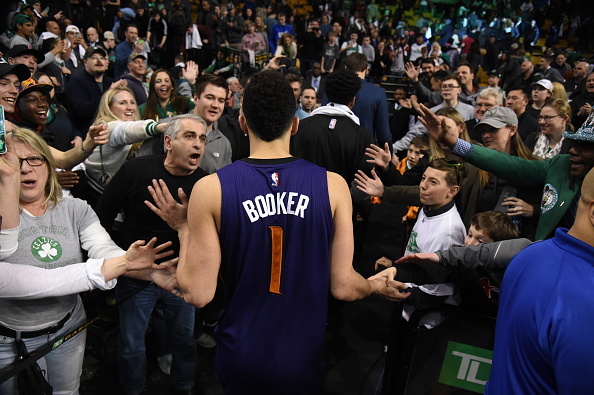 Devin Booker hung a 70 burger against the Celtics in March 2017 and joined incredible company alongside Wilt Chamberlain, Kobe Bryant, David Thompson, David Robinson and Elgin Baylor as the only players in the history of the NBA to summit that mark in a single game. While there was a slight hint of artificiality to it, as infamously intimated by ex-Celtic Jae Crowder on Instagram, and while Booker got to the free throw line a ton and shot a lackluster percentage from downtown, it must be said the Suns still lost the game. But Booker also had eight rebounds, six assists, three steals, and once again, SEVENTY POINTS. He has good size and athleticism for a modern wing, his advanced stats bode well for his future (his true shooting percentage is right where you want it to be, and his VORP has climbed above a minus the past two seasons, which while not outstanding for a potential franchise player, let’s remember he’s still just 22 freaking years old). I’m genuinely curious if, even as close as the near future, the 70-point game is a mile marker in my belief Booker will become a top-five player in the league sooner rather than later. That night made me realize that despite me having hoop dreams I was still so far away from being an NBA player and maybe I should think about another profession. I tried to follow Sonny Weems’ career after that to see if he would turn things around with more experience—he did not. Pitman: I’m totally fine with being accused of being biased with this one, but I want to go back a few years to Giannis Antetokounmpo’s rookie season. 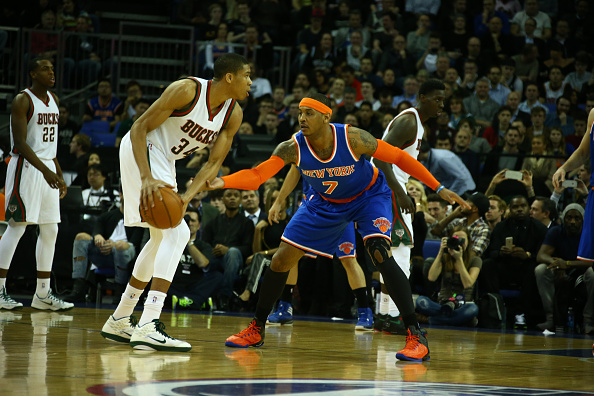 The New York Knicks visit the Bradley Center, and the baby-faced, yet-to-be-named Greek Freak stares perennial NBA All-Star Carmelo Anthony in the face with a look that does not in any way shape or form fit his youthful innocent look. It was the first start of Antetokounmpo’s career and after the game, the future MVP candidate had this to say. This is an 18-year-old kid, just one month into his NBA career taking responsibility for looking after the pride of his squad in the first start of his career. I definitely thought he had something special that could lead to something at that time, but after watching that game, I was all in. 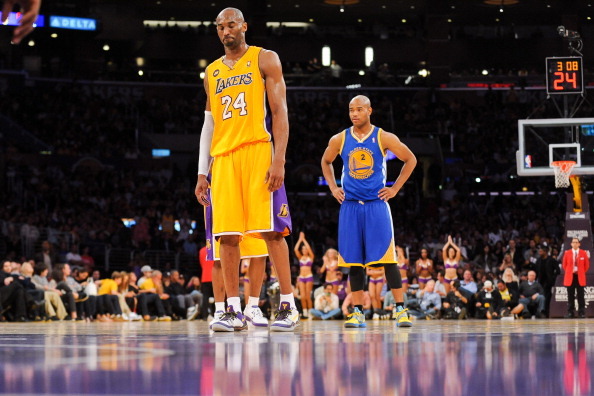 Williams: Maybe this is an easy way out, but it is hard to go against Kobe Bryant. There are several moments to pick from, such as the 81-point game, but if there is one moment that will shape my opinion on Kobe as a tough and competitive player, it would be the game against the Golden State Warriors in April 2013. Kobe decided he was going to shoot his free throws, making both, after he tore his Achilles on the court. While it did end his 17th season, he would not let the injury end his career. I know I personally couldn’t have walked off the court following an injury like that but that is what makes Kobe different. 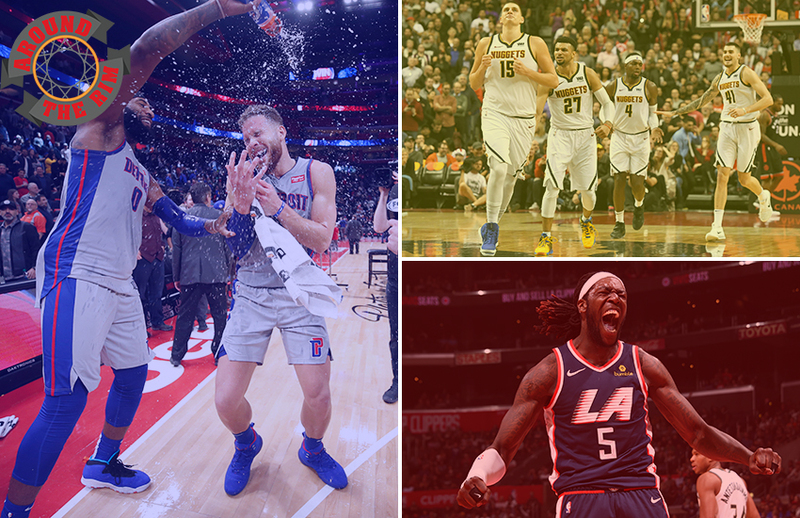 As of Saturday night, the Detroit Pistons are 14-7 following a big win over the Golden State Warriors and are sitting cozy in the Eastern Conference’s fourth seed. Are you buying or selling your Pistons stock going forward? 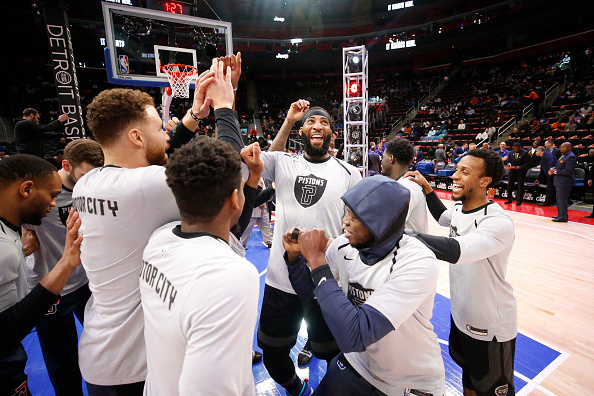 Williams: At this point, it’s hard to read into early season victories over the Warriors but the Pistons did enter the week with a win streak, so there is no doubt that Detroit is hot right now. If they remain healthy this season, Blake Griffin and the Pistons should make the playoffs. Also, the addition of Dwane Casey, the 2017-18 Coach of the Year, has to be considered a big reason for the team’s recent success. Honestly, it would only be fair to re-evaluate Detroit next week after games against the Bucks, Celtics and the pair of games against Philadelphia. Gulino: Selling. I believe in Dwane Casey, and in Blake Griffin as a top-two player on a title team, and in what Detroit is building. But I’m a Cavs fan. Screw the Pistons. Johnson: As of right now the Detroit Pistons are off to a phenomenal start. They are in fourth place in the Eastern Conference and are just coming off of a big game in which they beat the Golden State Warriors in Steph Curry’s first game back from injury yet somehow, I’m still ready to sell. It is hard for me to be super high on any team that must rely on the health of Blake Griffin, as we know he is just a step or two away from an injury that could sit him down for significant time. Even if he were to miss only a week or two, the Pistons are only three-and-a-half games out of eighth place and the Heat and Wizards are still on the outside looking in and should start to come together soon. Besides Griffin, there is Drummond who is quietly having another great year and a bunch of role players that are overachieving. 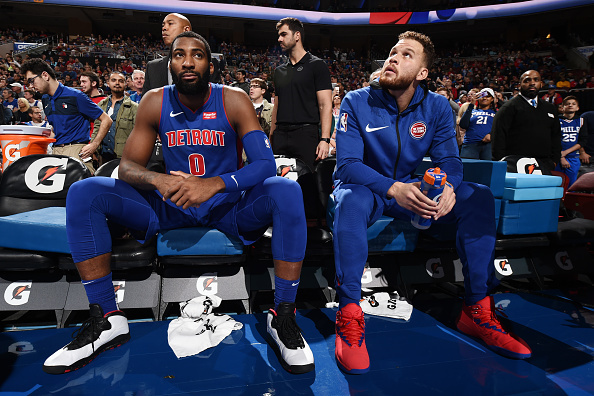 The Pistons roster is not set up for long term success and is so reliant on Griffin, Drummond and Reggie Jackson, who is also familiar with missing time due to injuries, that makes them so difficult to rally behind. There still is not a shooting guard that has stood out. The bench unit has been strong, led by Ish Smith and Stanley Johnson, but how long will they continue to score, and will Luke Kennard’s imminent return disrupt their flow? This is a team with plenty of questions regarding them despite a pretty good overall record, but this is also a team that you know one single injury can alter their season. Sell on them, now. Pitman: Selling—as a homecourt team in the East that is. They’ll make the playoffs, but just not as a top-four seed. I’m still of the belief that the top-four in the Eastern Conference will shake out just as most predicted. Toronto, Milwaukee, Boston and Philly are the locks to secure homecourt for mine, with Victor Oladipo’s length of time on the sideline ultimately playing a factor in the Pacers’ positioning come April. Detroit currently hold a top-10 defense but it’s the offensive side of the ball that worries me. They hold an offensive rating of 107.4, good for 19th in the League, and that’s with Blake Griffin having a monster start to the season. Speaking of Griffin, this is a guy that hasn’t played more than 67 games in a regular season since 2013-14. I certainly hope he bucks that trend this season, but I’m not sure I can be confident he does. Can this Pistons team survive if Griffin his usual slate of games? I’m not so sure. The Western Conference has been somewhat confusing to start this year. At this moment, who is the greatest threat to the Warriors? Pitman: I would not have predicted this on opening night, but give me the Nuggets right now. 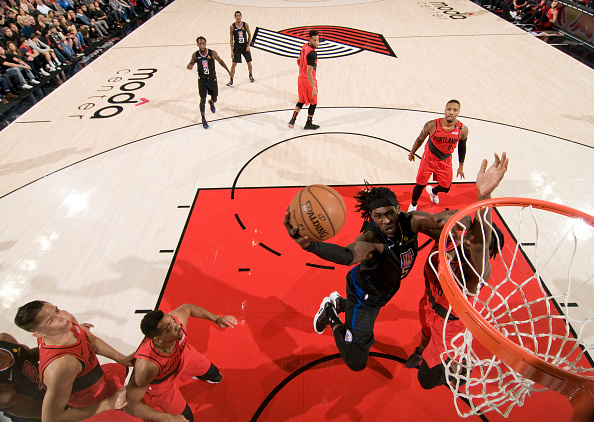 They rank in the top-10 for offense (ninth), and defense (thirrd), and despite a little hiccup after a dominant start, they now sit pretty atop the Western Conference. With distributing wizard Nikola Jokic leading the way, Denver possess one of the league’s most dangerous weapons. Averaging 7.5 assists a game, he freezes the opposition defense on a level unlike anyone his size. How do you best defend a big in The Pick and Roll who can either let it fly or cut you up with precision dimes at will? This is before bringing up the fact that they are also deceptively deep, with Monte Morris, Malik Beasley and Juan Hernangomez providing offensive punch off the bench. Is now a good time to remind you that Will Barton has only played two games and is nearing return? This is all before we even mention head coach Michael Malone suggesting he wear a headband on the sidelines which is absolute pure gold. 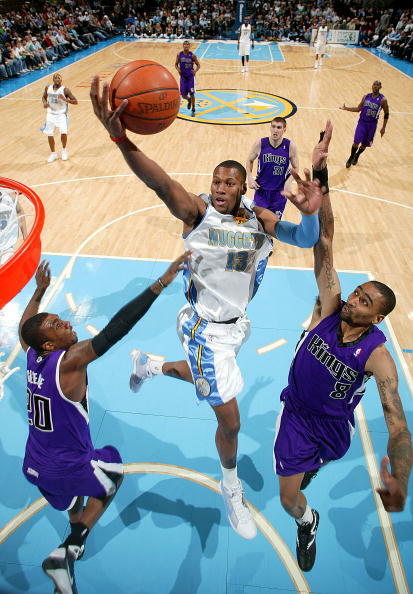 Johnson: Of course, it seems a bit biased, but it is not, the Denver Nuggets are for real. This is a team that has been just a game away from the playoffs the last two seasons in the mighty West and has the personnel to matchup with any team in the league. 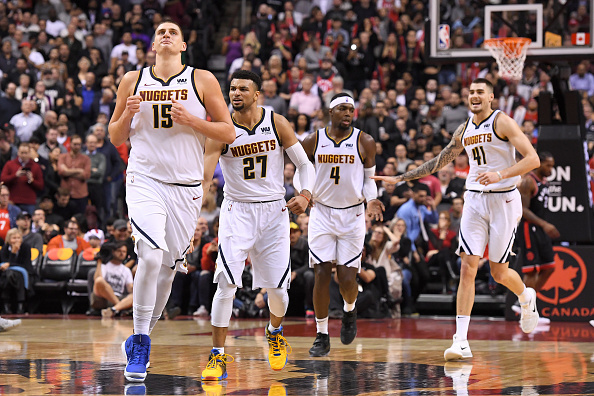 They have a superstar in Nikola Jokic even though he does not believe it quite yet and a really good supporting cast behind him. Paul Millsap is back in the fold and with him actually playing it provides the biggest difference. To miss him for more than half of the season and then get him back and go from a bottom five defense to a now top-5 defense is the untold story of the NBA season thus far. They have strong guard play in Jamal Murray and Gary Harris and Will Barton is set to return very soon. They have one of the best offenses in the league and what has been one of if not the most constant bench unit in all of the league. Denver’s bench is outscoring their opponents by 11.1 points per 100 possessions and that’s significant because this is a team that has fully bought in on both ends of the floor and when you have a bench that can do just as good with the starters it is a team that you have to take serious every single night. Consistency is key and with the way that we have seen Houston, Oklahoma, New Orleans and Utah start the season it’s hard to put those teams ahead of a deep Denver unit that is set up in a way that any given night a new player can lead them in scoring which ale them very dangerous and difficult to prepare for. Denver is one of the biggest threats out West and their play all season has backed it. Williams: At this point, anything goes in the West, but I would be silly to rule out the Los Angeles Lakers as a threat in the West. The LeBron James factor will do that for you but it is still early and questions still need to be answered. It did help the Lakers’ cause by adding California native Tyson Chandler along with other adjustments to get the defense going. 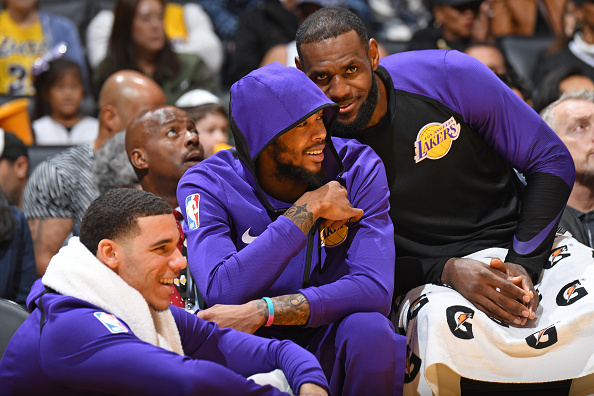 That scuffle didn’t do the Lakers any favors in terms of building that chemistry on the court after guys like Brandon Ingram and Rajon Rondo were suspended. Looking down the hall at Staples Center, it would be hard to ignore what the Clippers are doing as one of the teams at the top of the standings and winning 10 of the team’s last 12 games (as of Dec. 3), but even then I need to see more from Doc Rivers’ team before I can really believe in the Clippers as a top contender. Gulino: I believe two things here, that the early months of the season don’t tell us the whole story of certain teams by any means, but also that there is a real reason to think someone else could win both the West and the title beside the Warriors. That being said, if you give me the Dubs, I will give you the other 29 teams. Name your wager price. I’m good. Until Slim Reaper (maybe) leaves next summer, they aren’t losing to anyone with even a modicum of health or camaraderie (or, granted, a biblical 3-point drought from their chief competition). Which player do you think is being used the poorest by his current team and is capable of a bigger and better role elsewhere? Johnson: The player that is underutilized as tough as it is to say is Klay Thompson. The worst part is he is still really good, and it is all due to his circumstances. 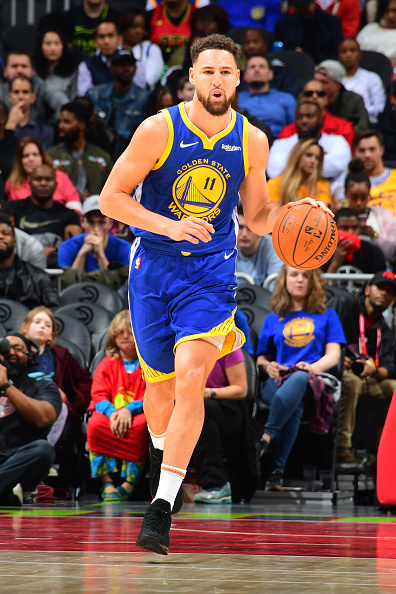 The Warriors are so much of an offensive juggernaut that most nights Klay’s play goes unnoticed, but he is not only a top-three shooting guard in my opinion but one of the best two-way players in the League. Klay has averaged just about 20-22 points a game for the past four seasons and that’s with being the second and third option for most of that time that. He is a role player that is capable of exploding the scoreboard at times (see: 52-point game vs. Chicago) earlier in the season. If he was on another team where the offense goes through him, I truly feel as if he would average 26-27 points a game and be looked at as one of the best players in the league. Maybe we see Klay on a different team after this season if Warriors indeed shake it up, if not he’ll continue to remain as one of the most underrated players in the league and that’s while being the third best player on the best team in the League. It’s criminal. Gulino: This is wholly unfair, because Golden State is not using him wrong whatsoever, but I’m a big buyer in Klay Thompson stock if he leaves the Warriors. That combination of size, movement, defense and shooting is going to fit basically everywhere. Don’t let the early struggles fool you. They are not losing because of him. Pitman: Well, I feel like the perennial answer to this question is Karl-Anthony Towns, though that could be in the process of changing with Jimmy Butler no longer in Minneapolis. 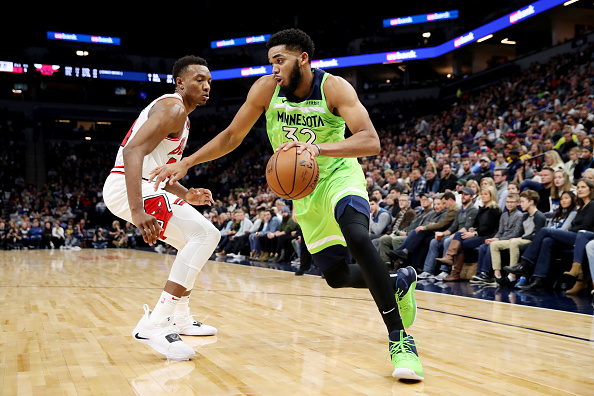 Towns is averaging 21.6 points per game since the Butler trade, but more importantly, he once again looks engaged, and the Wolves are remarkably gaining a defensive identity despite the loss of Jimmy. Too many times I’ve watched Wolves games only to see Towns treated like a tertiary option in the offense. It’s beyond time we start to see Tom Thibodeau give his All-Star big man the reins, and it may just be happening in time to resurrect a once floundering campaign. Williams: I think it is tough to say which player is being used the poorest by his current team. We may not know the full story as to why those decisions are made but then again, any situation that fell under this category, such as Carmelo Anthony and the Houston Rockets or J.R. Smith and the Cleveland Cavaliers, this season has already been figured out. If there is a particular player that could be capable of a bigger role elsewhere in the League, Jordan Bell comes to mind. It’s no secret that Bell won’t have many opportunities to have big minute games this season when you consider the loaded Golden State roster packed with All-Stars. Going forward if you consider the fact that Bell has already won an NBA Championship and continues to pick up valuable experience from the guys in front of him, both on and off the court, the 23-year old center has tremendous upside. Which player do you think is overachieving the most thus far this season and will most likely fall back to earth? Gulino: Can I libel NBA Twitter and kinda trash Greek Freak? His length and athleticism are obviously phenomenal and his stats are terrific, and the Bucks have the second-best record thus far in a LeBron-less Eastern Conference, but good god they give up a ton of points per game. (111.4, seriously!) Let me just say this: At this point, there is no way I think Milwaukee hangs with Toronto or Boston or maybe even Philly in a playoff series. That said, I’m stupid, and will probably be proven wrong. Johnson: The player who is overachieving or somehow has to come back to life soon is Montrezl Harrell. I remember a few years back of him being a Kenneth Faried type of hustle player that was good to play in spots in rotational minutes and now he is the second-best player on an overachieving team that is a top-three team in the Western conference. This was supposed to be a mini-rebuild season and look at them now. Nobody can say that they could see the Los Angeles Clippers being a team leading the conference and even less people that could say they imagined 16.6 points and 7.4 minutes coming from Harrell. He is manning the middle and is undersized but plays with so much grit and energy that he has to be atop the candidates for Most Improved Player of the Year. I do believe he stays on the list for most improved, but he is sure to come back to life and with it, the success of the team. Pitman: I don’t feel comfortable using the word overachieving in regard to this future Hall of Famer, but I’ll say the early season returns are beyond what should be expected. I really hope he doesn’t drop off, but at current pace, Dwyane Wade is on track to have his best season since he won his last title in Miami back in 2016. 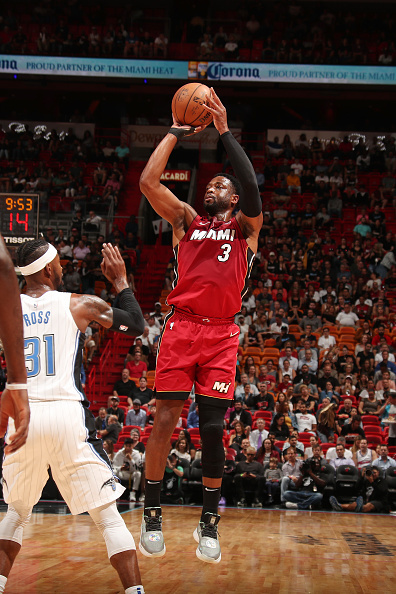 Wade is averaging 15.3 points in just 25 minutes per contest. Perhaps even more surprising is his gunning from beyond the arc, where he’s connecting on 38.7 percent of his long-range bombs on a career-high 4.1 attempts per game. That number absolutely dwarfs his career-high mark of 32.9 percent in his 46-game stint with Cleveland last season. Playoff fancies before the season began, the Heat are languishing at 9-13 as it currently stands. Always players in the trade market, they loomed as a potential suitor for Jimmy Butler before he went to Philadelphia, and you would expect them to remain in the market for some roster additions before the February trade deadline. Wade’s jersey swapping tour is in full swing, and while I am desperate to see more vintage performances throughout the season, here’s hoping the Heat can lighten the load on their franchise legend so we can witness some magical performances come playoff time. It’ll be absolutely worth it. Williams: Derrick Rose has been a bright spot for the Minnesota Timberwolves this season, including that 50-point game against the Utah Jazz. Rose recently stated that his goal for this season is to be a contender for the Sixth Man of the Year award. As long as he is coming off the bench averaging 19 points instead of sitting on the bench with an injury, it is a very realistic goal for the former MVP.